Edwardes Square, in Kensington, was built between 1811 and 1819. By 1820 the garden was designed by Agostino Aglio, an Italian artist, with guidance from the Royal Horticultural Society. The south side of the square (renamed South Edwardes Square in 1928) has been almost entirely rebuilt. Originally there were two ranges of coach-houses and stables here, separated from each other by an opening opposite the ‘Temple’, which is occupied by the square’s head gardener. Nos. 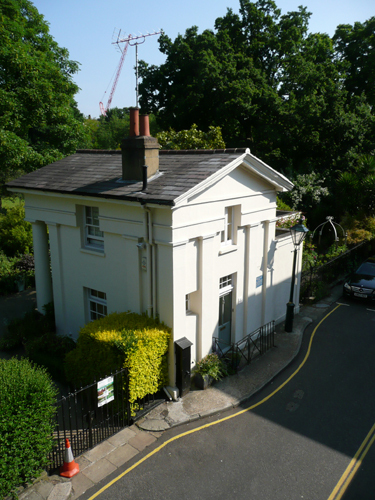 55–57 South Edwardes Square were late nineteenth-century stables now converted for residential use and No. 59 was built as a block of studios in 1892 by Leslie and Company to the designs of Charles R. Guy Hall. Nos. 63–66 are two pairs of three-storey neo-Georgian houses with external window shutters, dating from 1927. The architect Charles R. Guy Hall, who died in 1926, is also listed as a surveyor and sanitary engineer. It seems that he had an interest in fresco and at one time planned the founding of a Fresco Academy. He is recorded as having written to Sir Frederic (later Lord) Leighton in 1889 enclosing a fixative which he claimed would make fresco painting durable. Leslie and Company was an important local building firm responsible for much work in the Kensington area. In 1893-94 they built Nos. 55-61 (odd) Kensington High Street, at the corner with Young Street. Five years later they were responsible for an extension at the rear of Kensington Town Hall to the designs of William Weaver. They were still trading in 1931-32 when they built Esmond Court on what is now Ansdell Street. 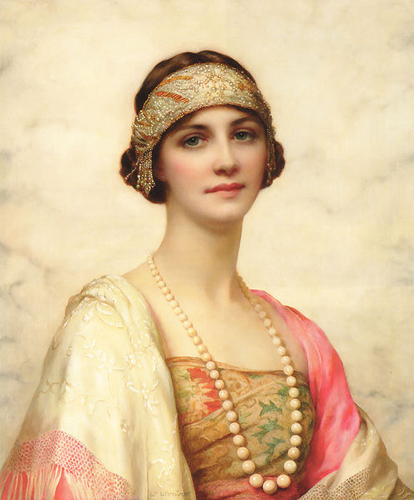 William Clarke Wontner (1857-1930) moved there in 1894 and was still occupying it in 1905. He was a painter who was part of the neo-classical movement, led by Alma-Tadema. His style favoured seductively languorous women against classical or oriental marbled backdrops. 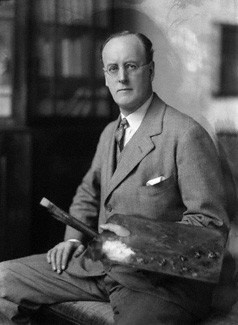 Frank Cadogan Cowper R.A. (1877-1938) the painter and illustrator of portraits, historical and literary scenes and described as “The last of the Pre-Raphaelites” is known to have been working in No 1 between 1914 and 1918. It seems that Frank Cadogan Cowper completed ‘Our Lady Of The Fruits Of The Earth’ at No 2 in 1917 although whether this means that he occupied two studios at that time is not known. Henry Justice Ford (1860-1941) the prolific and successful artist and illustrator occupied studio No 3 between 1894-1916. He was active from 1886 through to the late 1920s. 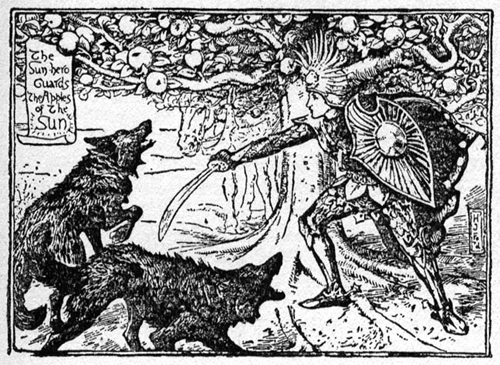 Sometimes known as H. J. Ford or Henry J. Ford, he came to public attention when he provided the numerous beautiful illustrations for Andrew Lang’s Fairy Books, which captured the imagination of a generation of British children and were sold worldwide in the 1880s and 1890s. In 1908 it is known that Olive Hockin (1881-1936) (later Mrs Leared) occupied No 5. 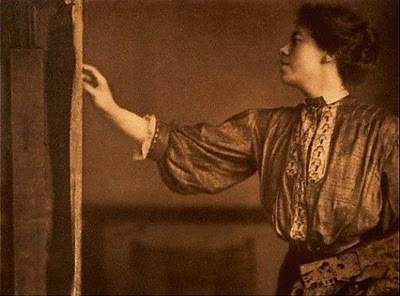 Like many Theosophian women artists, she studied at the Slade School of Art in 1901-3 and again in 1910-11. 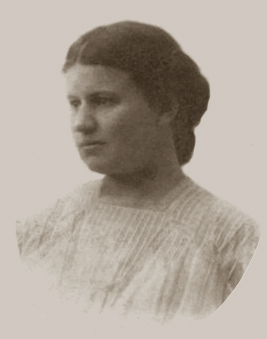 She also wrote for Orpheus, the magazine of the Theosophical Art Circle. Hockin exhibited at the Society of Women Artists, at the Walker Gallery, and until 1915 at the Royal Academy. As one of several leaders of the Suffragette movement suspected of plotting to kill the Prime Minister, she was arrested and imprisoned for four months in 1909. She worked as a land-girl during World War One and wrote a book, Two Girls on the Land. She married John Leared, a trainer of polo ponies and had two children. 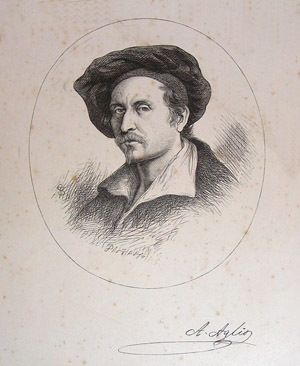 Clifford Bax was a versatile writer, known particularly as a playwright, a journalist, critic and editor, and a poet, lyricist and hymn writer. He also was a translator, for example of Carlo Goldoni, the Italian playwright and librettist. 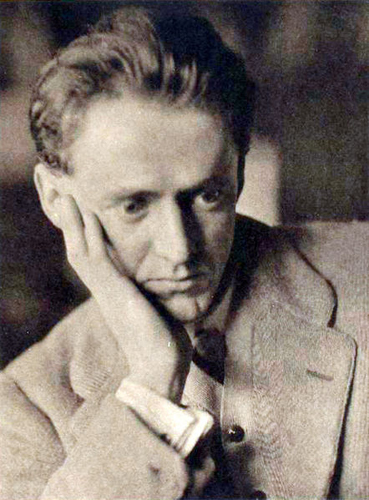 The composer Arnold Bax was his brother, and set some of his words to music. He is known to have occupied No 5 between 1917 and 1925. Bax later moved to Albany, in Piccadilly, where he occupied set F2 until his death in 1962. 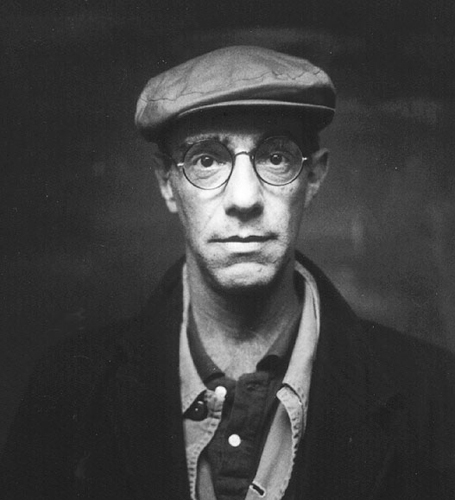 Derek Jarman, the film director, stage designer and artist had a studio there when he died in 1994. 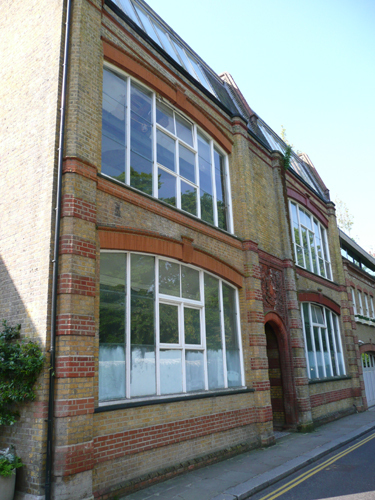 Throughout the 1990s three of the studios were occupied by the dealer Richard Salmon who staged a number of exhibitions there. Following a failed attempt to convert the studios they are understood to have stood empty for about ten years. I was asked to carry out an analysis of the windows. Sadly not, Raquel. My understanding is that my client wishes to convert the studios into a private house, but I may be wrong. Yesterday, while having a walk as I live and work very near, I spotted the Studios. They are definitely inspiring, I would love to collaborate on their refurbishment. Aren’t they wonderful. Thank you for showing an interest. I believe that the client already has an architect as that is who employed me. My mum used to be the caretaker here around 1966 when I was 5yrs. It’s always stayed in my mind as being a very unusual place to live…even though I was so young.I remember a lovely lady, Mrs Ham as being one of the tenants. A lot of spooky things happened whilst there though like the piano playing by itself. It was a beautiful place regardless. The porch was white gloss and immaculate. Lot of history and my mum still has the odd painting of a seascape given as a present. Thank you Amanda. It’s always good to get feedback and to hear personal stories like yours. My grandfather Martin Bloch 1883-1954, lived in Edwardes Square and worked in a studio there from 1936 to 1938. I am wondering whether you have any information about this. He did several paintings of the gardens. Thank you. No, I used all the information that I could find on previous occupants, which wasn’t much.